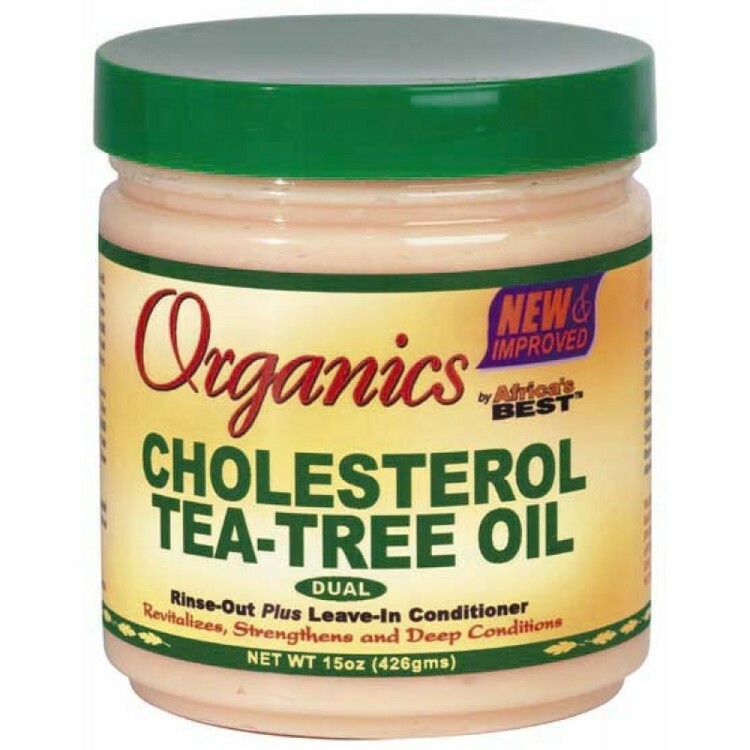 Organics by Africa's Best Cholesterol Tea Tree Oil is enriched with Natural Herbal Extracts, Botanicals and Protein to help repair and revitalize damaged, dry, overprocessed hair. Used as a Rinse-Out and/or Leave In therapy, it delivers superior conditioning and moisture to strengthen hair and help return it to a healthy, manageable, soft state. For best results, use Organics Stimulating Therapy Shampoo by Africa's Best, After shampooing, massage a generous amount of Cholesterol Tea-Tree Oil Conditioner evenly into hair from roots to ends. For extra conditioning, cover hair with a plastic cap or wrap hair with a warm towel for 10 minutes. Rinse hair thoroughly with warm water and style as desired. For maximum conditioning, after rinsing apply about a quarter size amount, distributing all over hair. Gently comb through with a WIDE TOOTH COMB. Do not rinse.